At Sony’s Gamescom Press Conference, the company has announced that a new LittleBigPlanet is in the works, and will be free-to-play. The game will be coming to the PS3, but no release date was revealed. As with previous LBP titles, the game will allow users to create levels and characters using various tools, objects and accessories. 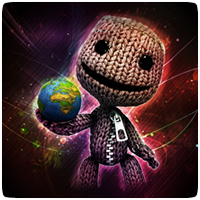 LittleBigPlanet has hit another huge milestone: 8 million user created levels, and still growing! The community has created more than 8 million levels in the five years since the game was released on the PS3, and later to the PS Vita. It’s taken the community just under a year to rack-up another million levels. A Russian website is claiming that Sony has announced the release date for LittleBigPlanet on the PlayStation Vita, though Sony has yet to actually confirm. 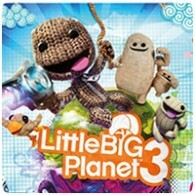 The LittleBigPlanet franchise has enjoyed success of the past few years, ever since the first title launched on the PS3. You already know about the fantastic LBP work that Tarsier Studios and Double Eleven Studios are doing on LittleBigPlanet for PS Vita, and now Sony have announced a new LBP collaboration with the hugely talented team at United Front Games who will be leading a new project called LittleBigPlanet Karting. LittleBigPlanet has hit another massive milestone this week. The LBP franchise now has more than 6 million user-generated games and levels created by fans and uploaded online to the PlayStation Network. LittleBigPlanet Spin-Off Game Coming to PS3? A mysterious LittleBigPlanet game has been uncovered by Siliconera on the website of the Australian games ratings board, the OFLC. The game is called “Sackboy’s Prehistoric Moves“ and had been approved for a general audience (basically the equivalent to a “U” or “3+”), and is being developed by Supermassive Games and Media Molecule, and published by Sony. If you are a Heavy Rain fan and own LittleBigPlanet, you will love the new costumes heading to the PlayStation Store this week. Five costumes from Heavy Rain will be added to LittleBigPlanet, as well as a set of stickers for you to enjoy. Costumes include Ethan Mars, Madison Paige and Shelby Scott.